Cisco was launching its new product called Cius, which like many of Cisco’s other products provides video and digital solutions to its clients at all endpoints. 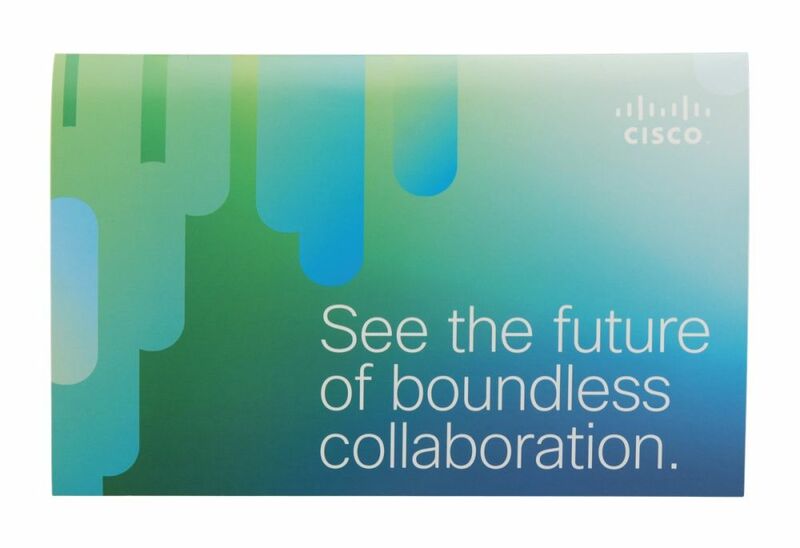 With its campaign slogan of “See the future of boundless collaboration”, Cisco needed an impressive B2B development brochure to grab attention and generate excitement among its channel partners. To announce an innovative technology enhancement like this, Cisco needed a revolutionary marketing technology. Working with Cisco’s agency, Americhip designed and produced an innovative marketing brochure incorporating our patented Video in Print technology. What better way to showcase your unique video applications than by using Americhip’s innovative video brochures. Cisco utilized the Video in Print mailer to showcase five high profile case studies where its new Cius was used by customers including the Department of Defense and the USDA. 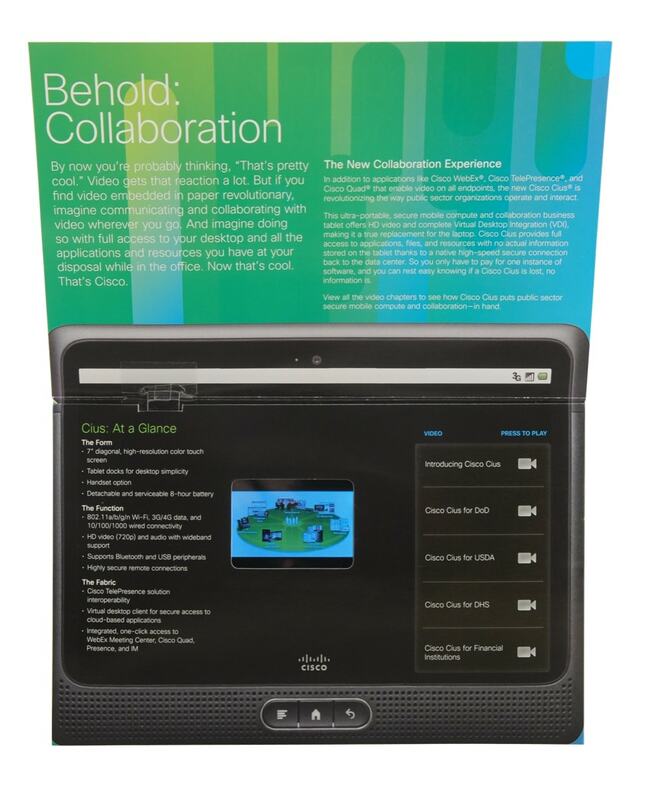 The mailer’s design was made to look like a tablet and VIP’s innovative chapter button technology allowed Cisco to share key success stories from five different market segments. Transform your next B2B development mailer from a traditional, overlooked piece into a real show-stopper. Speak to your audience through a medium that motivates and inspires.